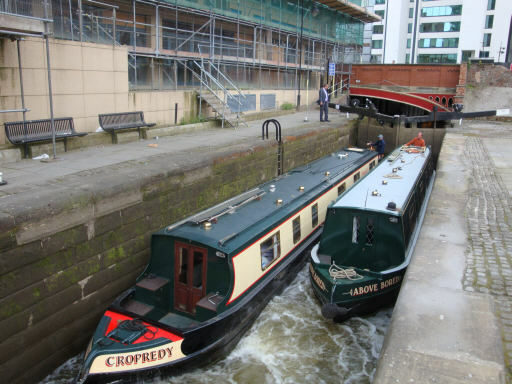 The nine locks on the Rochdale Canal through the centre of Manchester are known as the "Rochdale Nine". 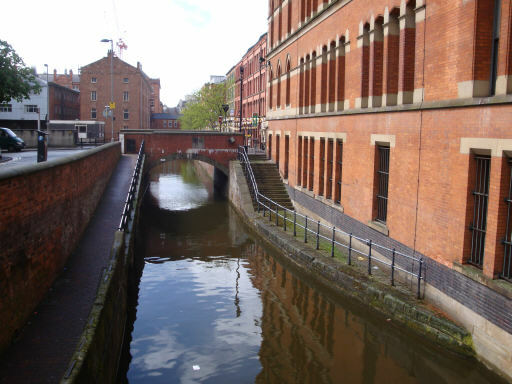 During the period when most of the Rochdale Canal was closed, these nine locks remained open to navigation, forming part of the "Cheshire Ring". They became notorious among boaters for being difficult to operate. Since British Waterways took over responsibility for maintaining these locks the gates are in much better working order, although the absence of by-washes can make the locks difficult to navigate, as excess water flows over the top gates. Just south west of the junction with the Ashton Canal comes Dale Street Lock (84), the first of the "Rochdale Nine". These locks linking the Ashton and Bridgewater Canals through the centre of Manchester had been the only part of the Rochdale Canal not to be closed to navigation in 1952. To the north of Lock 84 is Dale Street Warehouse, the only stone-built canal warehouse in Manchester. 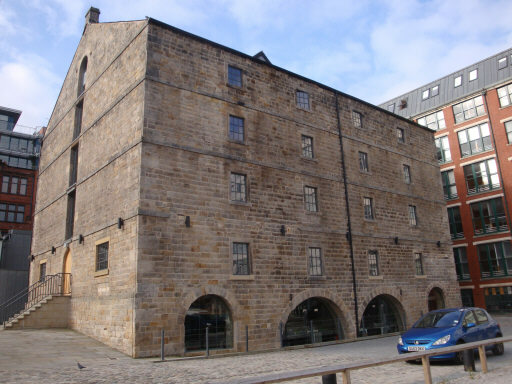 It was built for the Rochdale Canal Company and has four boat holes which allowed boats to unload inside, although the canal arm that led to the warehouse is now infilled and the area used as a car park. This grand arch was the entrance to the Rochdale Canal Company's warehouses and wharves from Dale Street. The white building was the company offices. A brick warehouse to the right of the arch has been demolished. 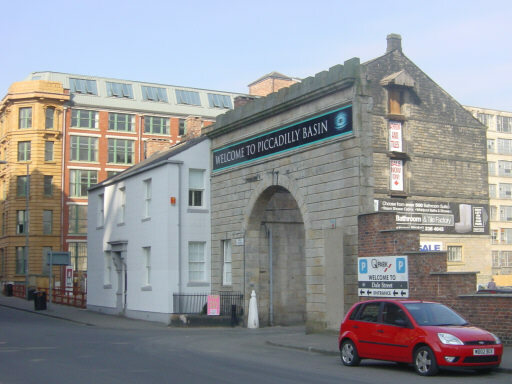 Behind the Piccadilly Basin sign older lettering reads "Rochdale Canal". 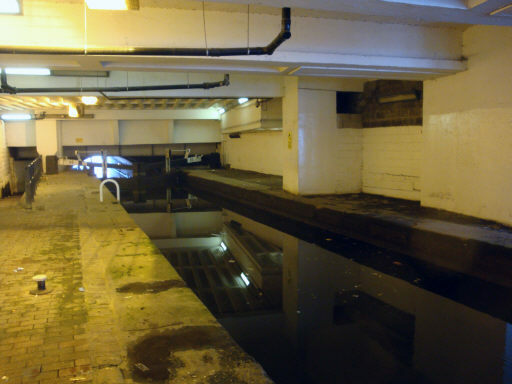 After Dale Street Lock, the canal plunges into a mysterious underworld below the modern buildings of Piccadilly. Piccadilly Lock (85) is in the middle of this tunnel and is seen ahead, between the pillars. 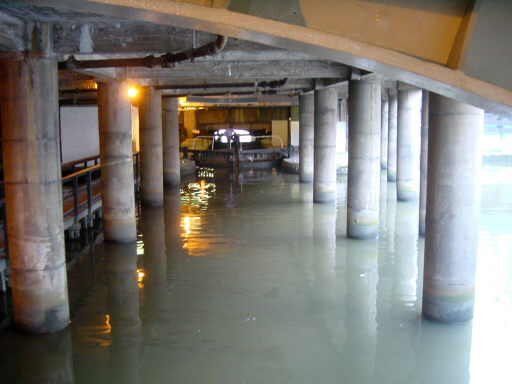 Piccadilly Lock is completely underground, with office buildings constructed above . Looking back to Dale Street Lock from Piccadilly Lock. 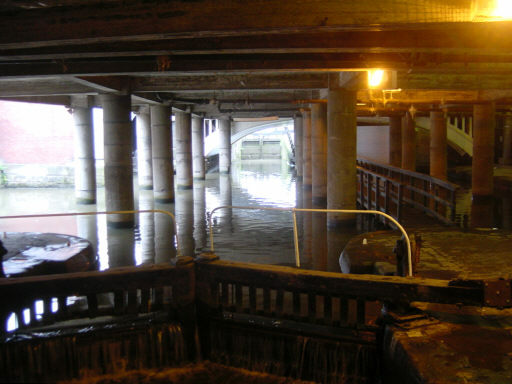 The caverous recesses to the side of the lock have now been walled off and CCTV cameras installed, making this area less intimidating than it had been in the past. 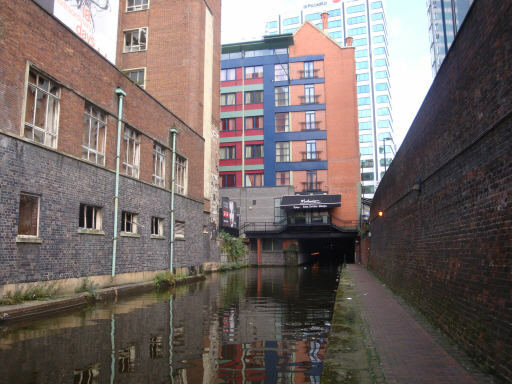 The canal emerges from the tunnel below the buildings of Piccadilly. Approaching Minshull Street, the towpath rises to street level and crosses the bridge to Canal Street, where the street itself is the towpath.